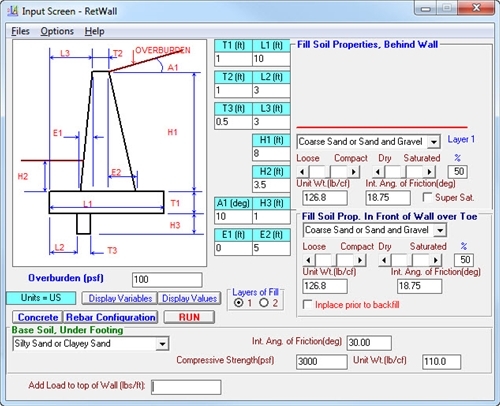 (Metric and US units) Need a quick stability analysis on a retaining wall? 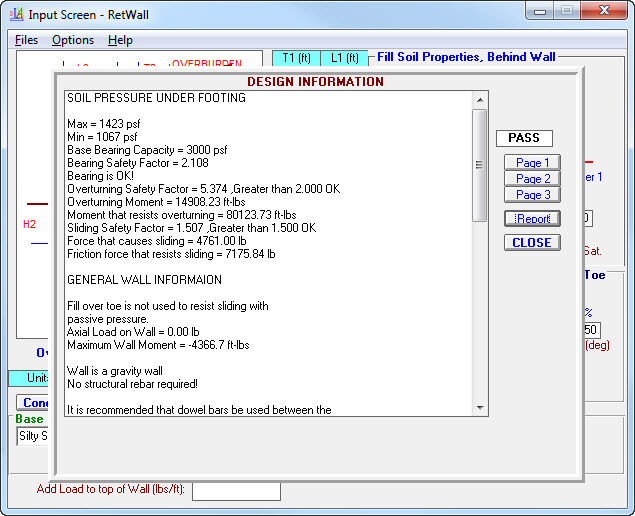 Retwall will give you soil bearing loads, analyze the wall stability, calculate all wall moments, design your rebar and give you design sketches. The program will handle flowing water and multi-layers of backfill. 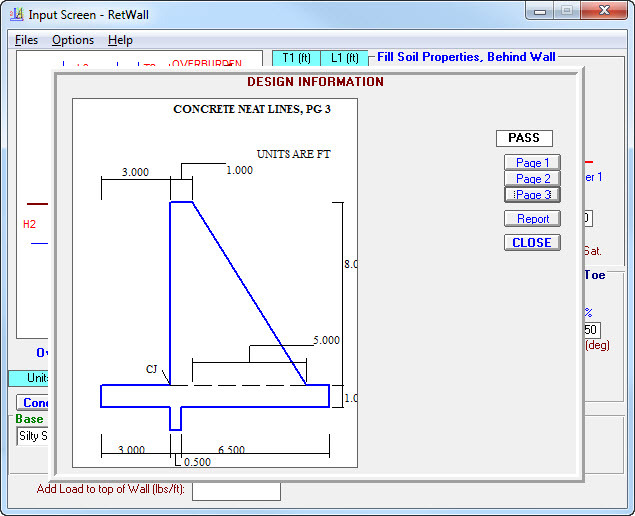 You can adjust all allowable values to meet whatever code requirements you are tied to.